Pope Francis has laid down an ultimatum to defiant Nigerian priests: lose your job if you don’t obey me and your bishop. 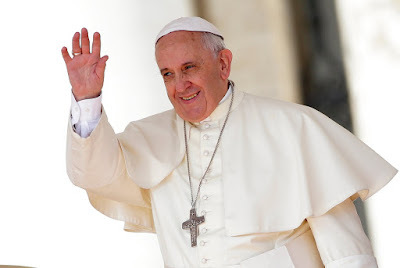 According to a report by Associated Press, Pope Francis met June 8 at the Vatican with a delegation from the Ahiara diocese, southeast Nigeria where priests have been refusing to accept the 2012 appointment by the then pontiff, Benedict XVI, of the local bishop. The Vatican newspaper, L’Osservatore Romano, reporting the pope’s unusually harsh order, said on Sunday that Francis was acting “for the good of the people of God” by threatening to suspend the priests from the ministry if they didn’t pledge in a letter, by July 9, “total obedience” to Francis and accept Bishop Peter Okpaleke’s appointment. Mr. Francis told the visiting delegation he was “very sad” about the priests’ refusal to obey and ruled out tribal loyalties as explaining the refusal. Africa has been one of the continents where the Catholic church is growing. The faithful and clergy there often imbue their practices with local culture in dynamic contrast to more traditional routines in Europe or North America. Francis’ move to end disobedience to the Vatican aims at ensuring the growing church there will be loyal to the pontiff. His remarks to the visiting delegation indicated how dangerous he viewed any rebellion against papal authority. They must also accept the bishop chosen by Rome. If, within a month, each priest doesn’t do so, he will be “ipso facto suspended,” such as from the celebration of the sacraments, and “will lose his current office,” Francis warned. Francis acknowledged that his move “seems very harsh.” He added that he had even considered the extraordinary remedy of suppressing the entire diocese but didn’t, so as not to hurt rank-and-file faithful. He said he thought the rebellious priests might have been manipulated from outside the diocese or even abroad, but named no culprits. In 2015, the diocese served around 520,000 Catholics, out of a local population of about 675,000, and had 128 diocesan priests and seven other priests. It wasn’t immediately clear how many of the priests were involved in the rebellion against the bishop’s appointment.